It allows potrait and landscape views of your favorite web pages. Shortcut keys to swap and full screen are also available. 98% of 234 reviewers would recommend this app. 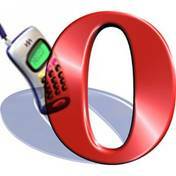 Alhamdulillah,The Best Opera Mini In My Bytwo B2 Java Mobile.